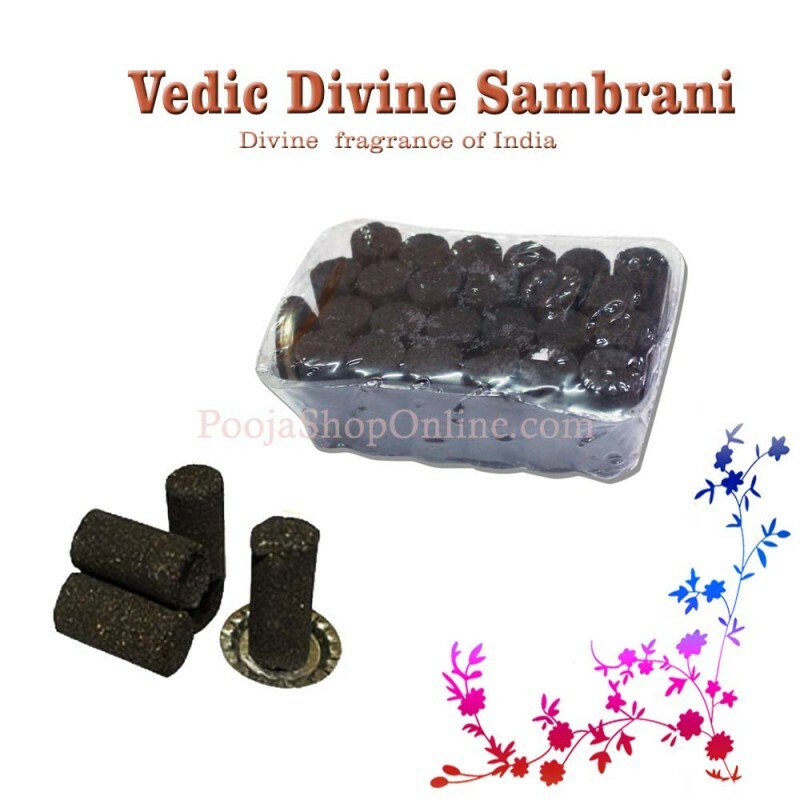 Vedic Divine Sambrani dhoop Incense sticks are an essential part of all auspicious occasions spreading a divine fragrance that calms the mind and lifts the spirits. Used ideally during prayers, spiritual sessions, meditation, yoga to add a mystic charm and lighten up the ambience. Sambrani brings purification, prosperity, soothing tension, dispelling anger, diminishing irritability, relieving stress & anxiety and overcoming depression. It promotes generosity and concentration. Good to burn while using the Tarot or for success in intellectual matters. A plate is provided to burn the sticks.